*Available on selected trims. Images shown are not to UK specification. 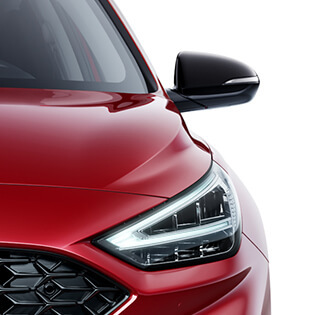 i30 Hatchback Premium and Premium SE will include body coloured door handles from April 2019. Images shown are not to UK specification. 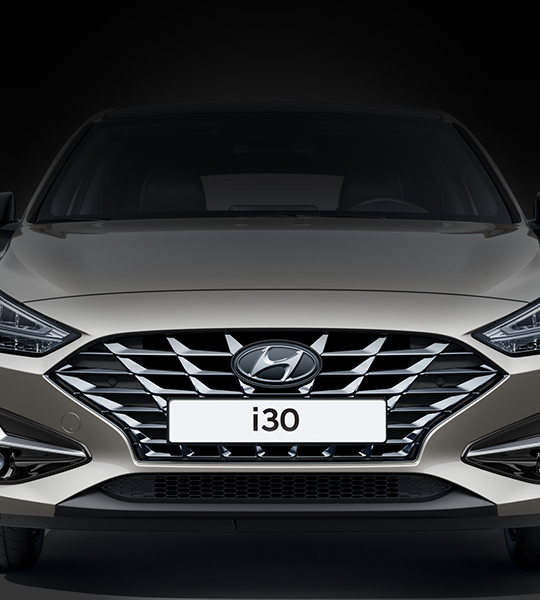 i30 Hatchback Premium and Premium SE will include body coloured door handles from April 2019. 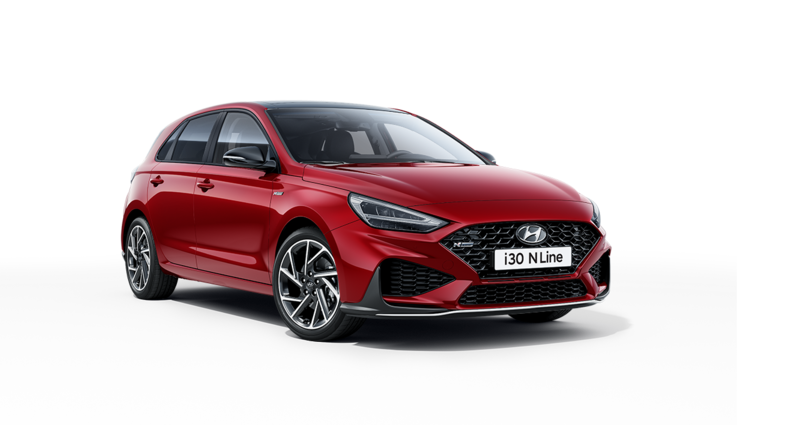 After the successful launch of the highly acclaimed i30 N performance hatchback, Hyundai’s N Division is continuing its shake-up of the performance car world with the N Line range - starting from £19,995. 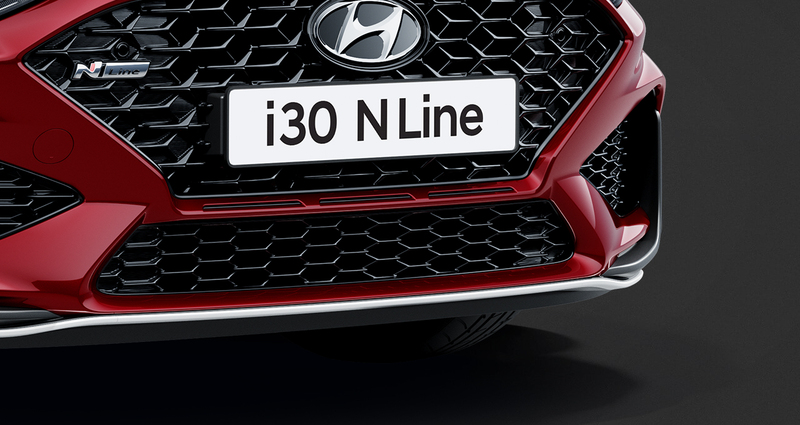 N Line strikes the perfect balance between the i30’s class-leading comfort and technology and the i30 N’s track inspired design. 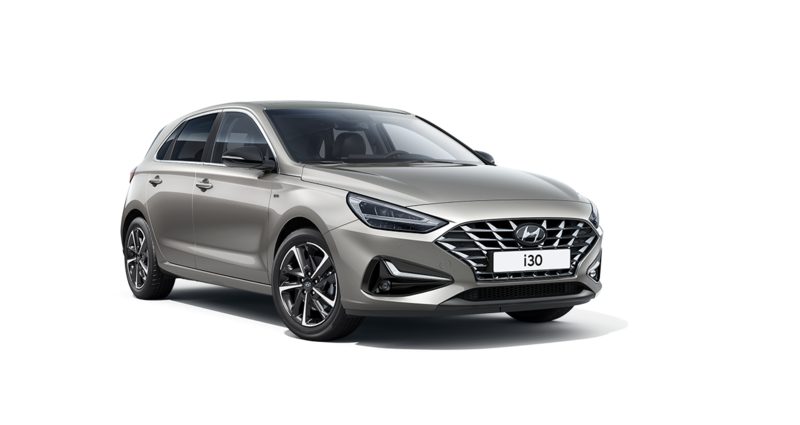 Easily identified, i30 N Line models feature distinctive front and rear bumpers, a twin exhaust pipe, plus N Line badged steering wheel, gear knob and sports seats. 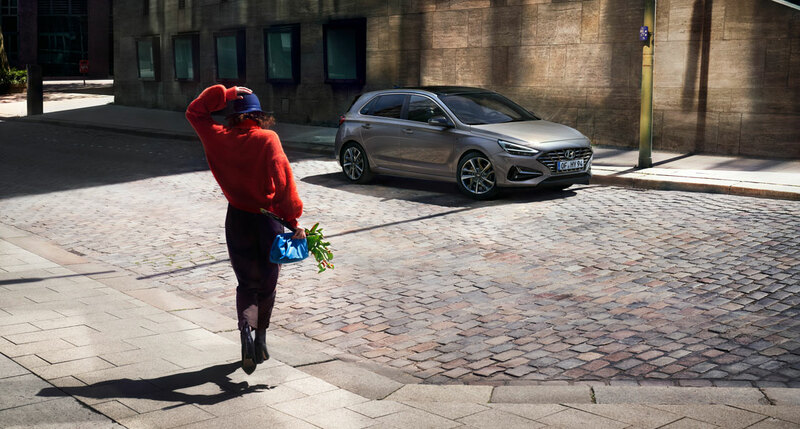 For increased driving enjoyment, i30 N Line 1.4 T-GDi models also deliver enhanced performance capabilities thanks to a finely-tuned suspension setup, larger front brakes and 18” alloy wheels with performance tyres. Car shown i30 N Line + 1.4 T-GDi in Engine Red solid paint. Not to UK specification. 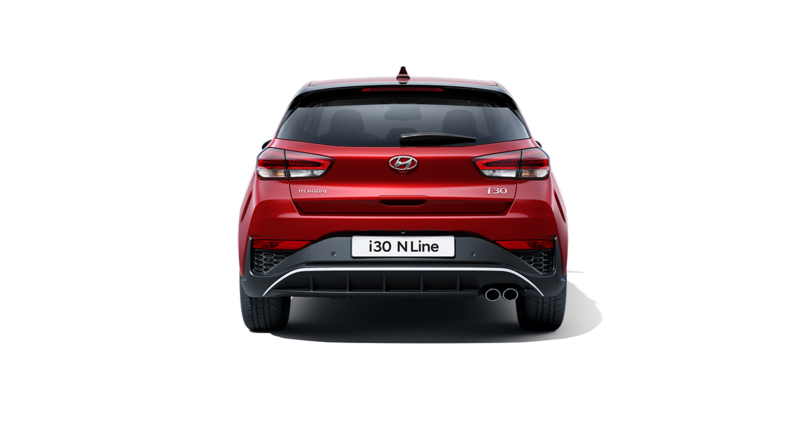 From March 2019 i30 N Line and N Line + offers Black Beltline (Window Surround) as standard. 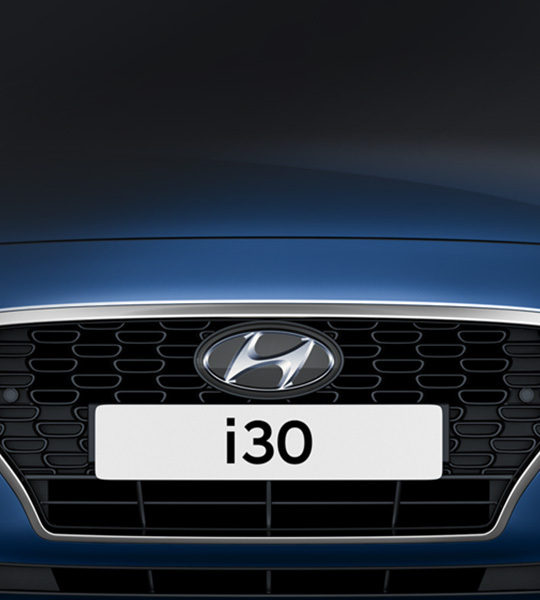 i30 N Line & N Line + will include body coloured door handles from March 2019. 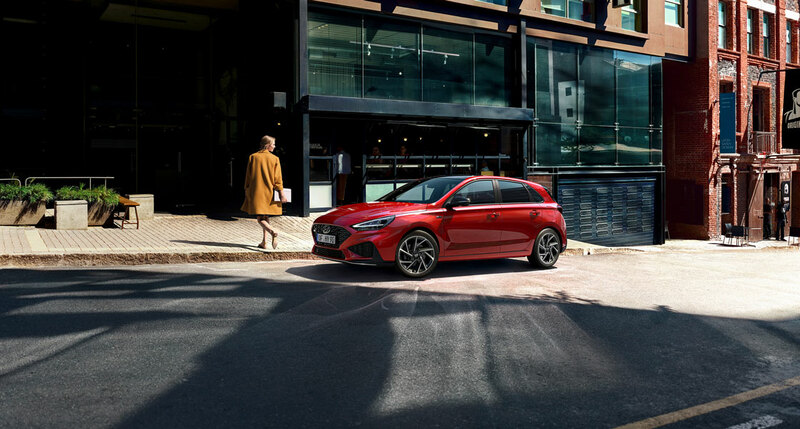 The timeless design concept of the i30 family hatchback is reflected in the quality and passion that shines through every detail. 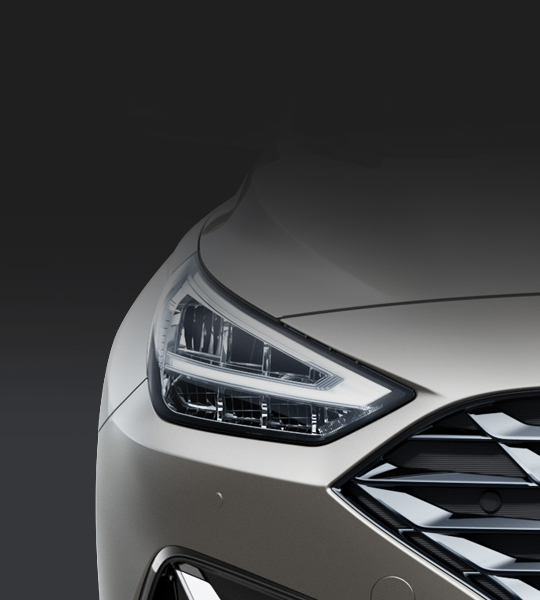 Advanced LED lighting Available on SE Nav with Visibility Pack and Premium upwards, the LED headlights offer a distinct visual signature, with double projection lenses for low beam, and a single projector for high beam. 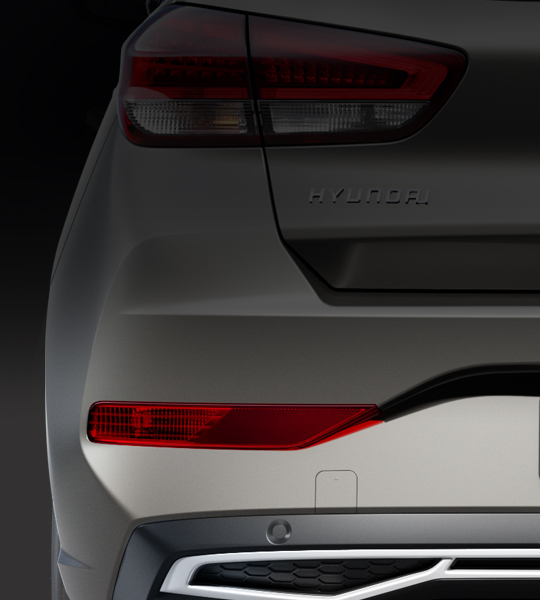 Cascading Grille The form and detail of the newly developed Hyundai grille is inspired by the flowing descent of molten steel. It’s available with a standard satin chrome surround, or a sophisticated chrome-plated dot finish on SE upwards. 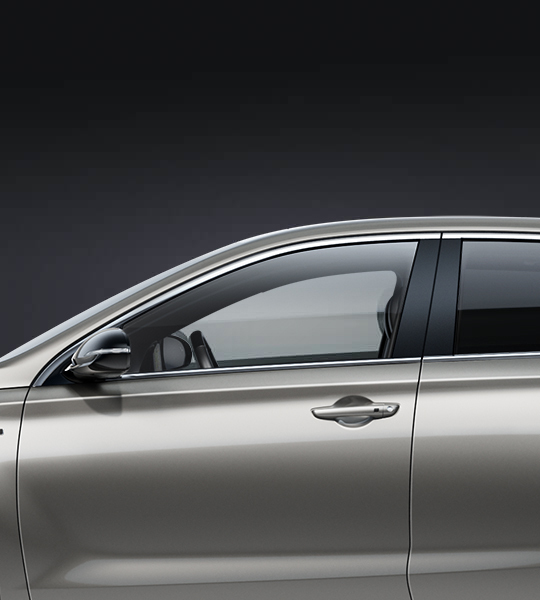 (DRL)Fitted as standard, the unique vertical design also functions as an eye-catching turn-signal indicator. 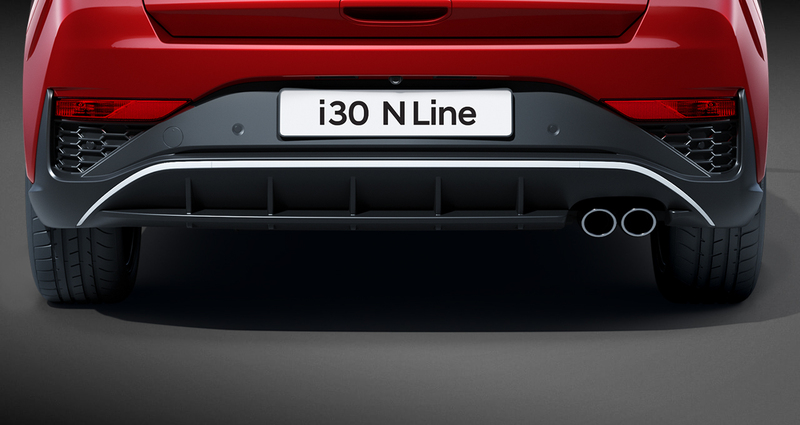 Lower front bumper The 3-dimensional form of the lower bumper emphasises the wide-track sporty stance of the i30. One look is all it takes to see the motorsport roots of the new i30 N Line 5-door. The 18” alloy wheels (17" on 1.0 T-GDi models) and performance tyres create a dynamic stance and delivering fantastic road handling. 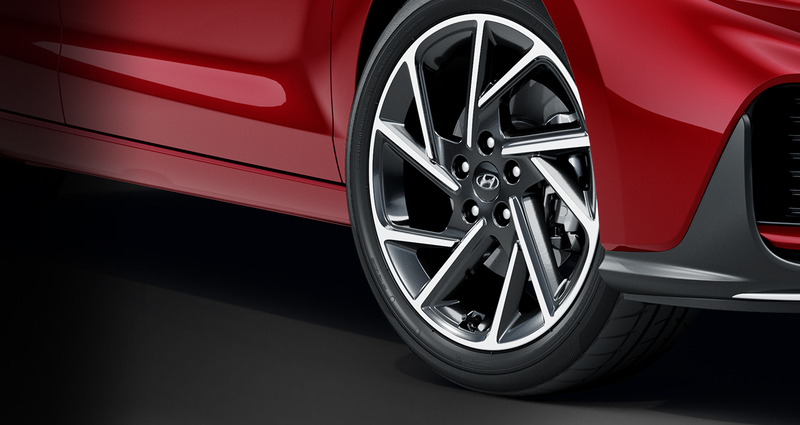 Enlarged front brakes further enhance the sporty character. the new i30 N Line 5-door apart from the crowd. 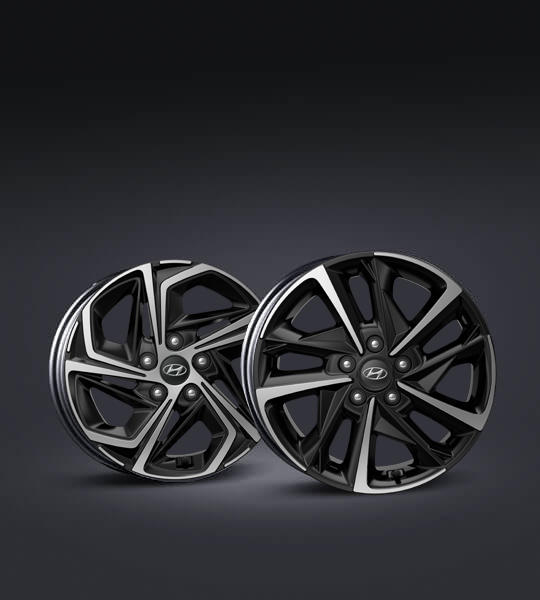 Alloy wheels S models feature 15” alloy wheels, while SE and SE Nav offer 16” versions. Premium and Premium SE are fitted with 17” wheels which are also available on SE Nav when purchasing the optional Visibility Pack (16” and 17” designs shown). Character line The clean side view of the i30 is dominated by the uninterrupted sleek character line that runs from the headlights to the rear combination lights. 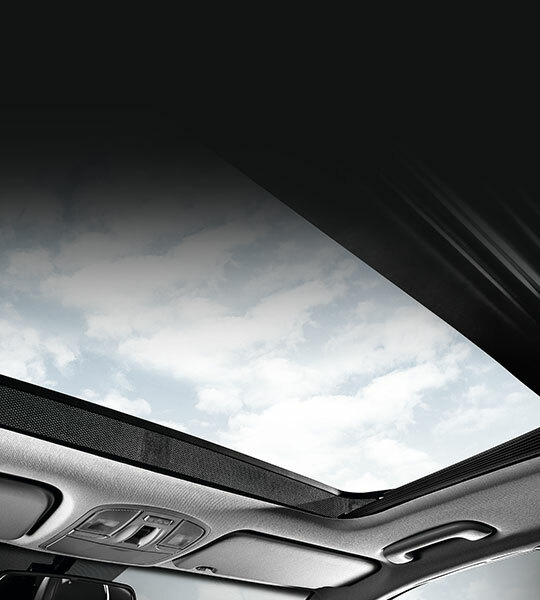 Panoramic sunroof Available on Premium SE models, the wide-opening tilt-and-slide panoramic glass roof increases natural light in the cabin. 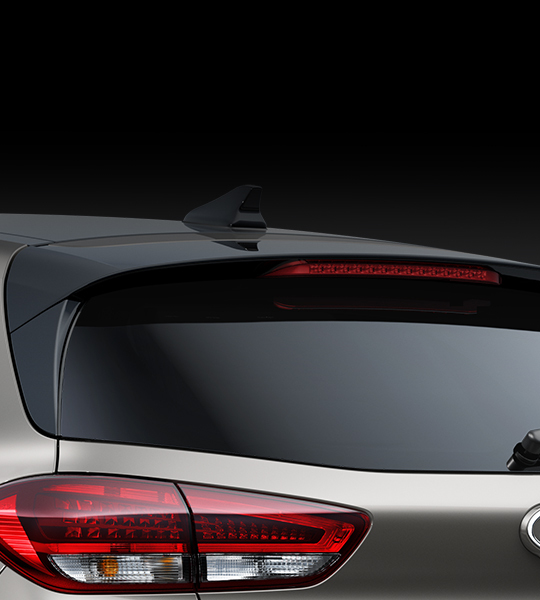 High gloss black rear spoiler The standard black rear spoiler is integral to the i30’s core design philosophy with a sophisticated, sporty feel. 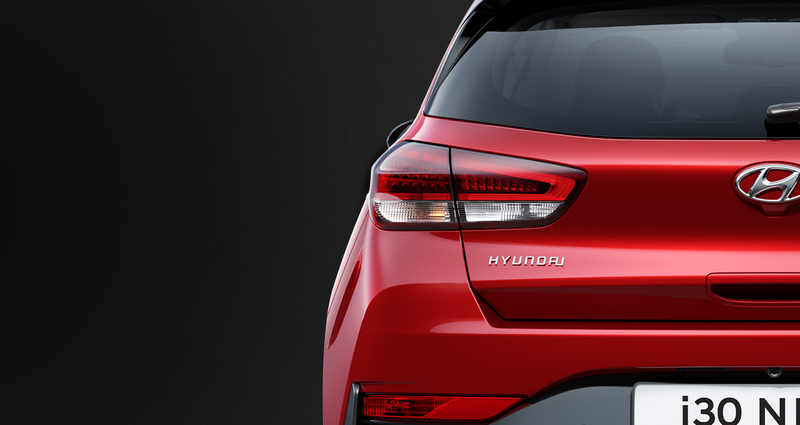 It improves air flow off the rear of the car – lowering drag and improving fuel efficiency. Rear combination lights Featuring full LED technology on Premium upwards they are stretched right to the edges of the body, enhancing the feeling of visual width. 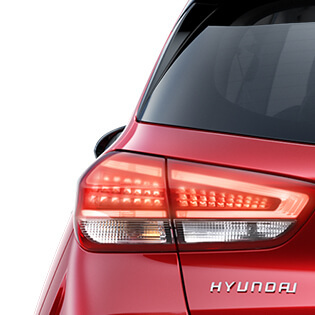 Rear reflectors & fog lights The elevated location of the rear reflectors and fog lights contributes to the overall impression of width and stability. 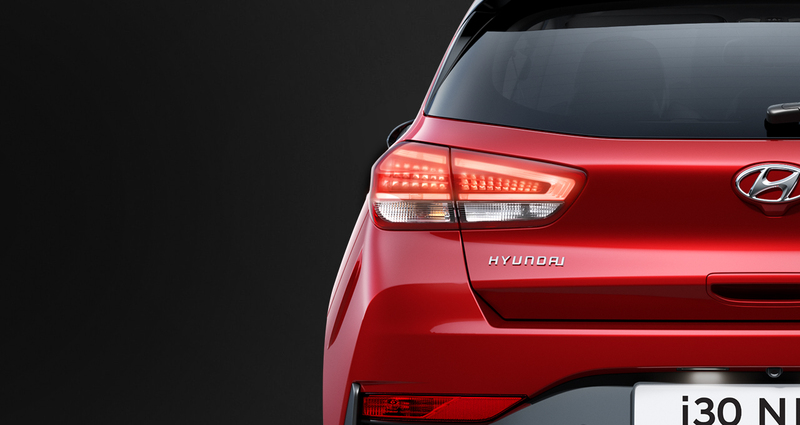 The standard LED rear combination lights are in perfect harmony with the sculpted side character line, highlighting the distinctive rear design. 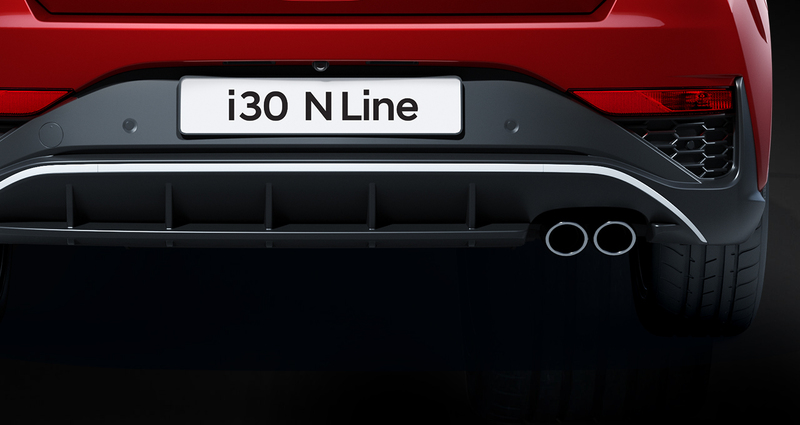 The sporty twin chrome exhaust pipes show the N Line sporty character. 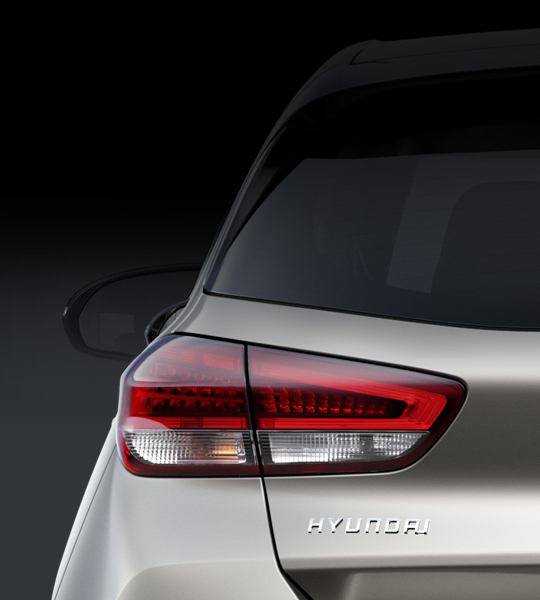 a silver highlight element in the i30 N Line 5-door. space. 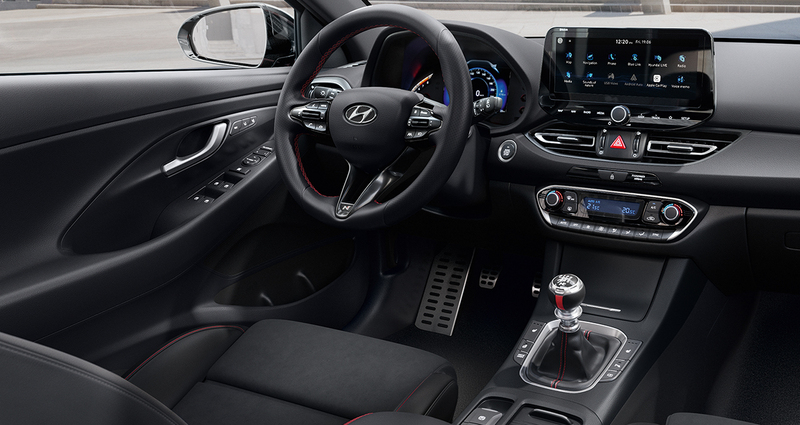 It’s more than just a feeling – the i30 is among the roomiest in this class for driver and all passengers. 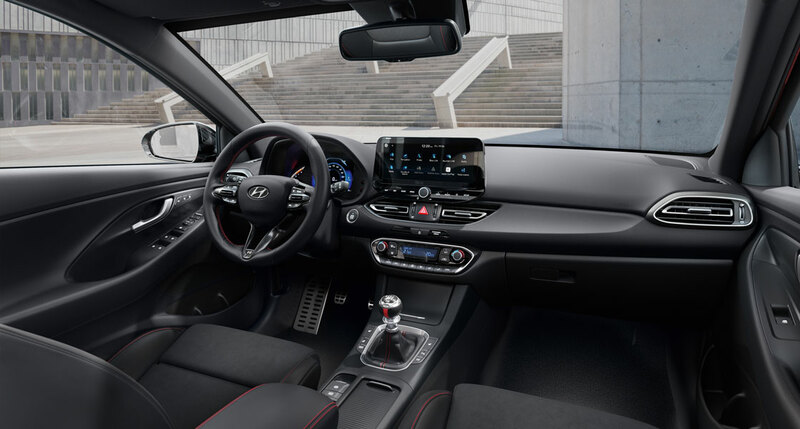 The i30 can analyse a wide range of inputs including changes to steering angle, steering torque, position in traffic lane and driving time. If the system recognises symptoms of driver fatigue it immediately provides a visual and acoustic message to alert to the driver. 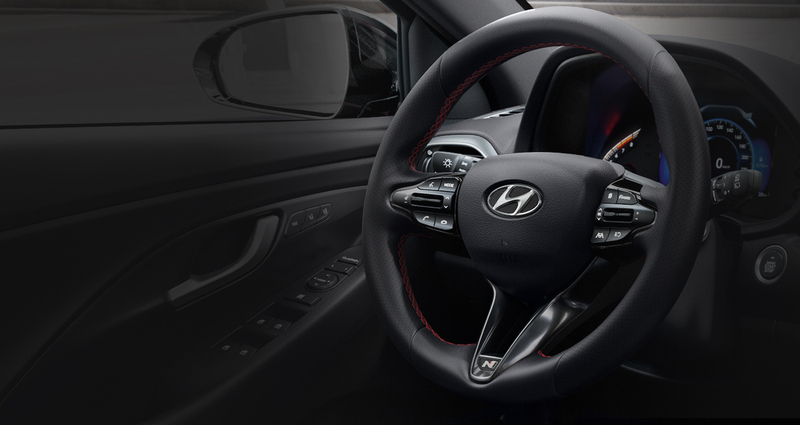 Enjoy the comfort and control of the the N Line’s perforated leather steering wheel with sporty metallic spokes. 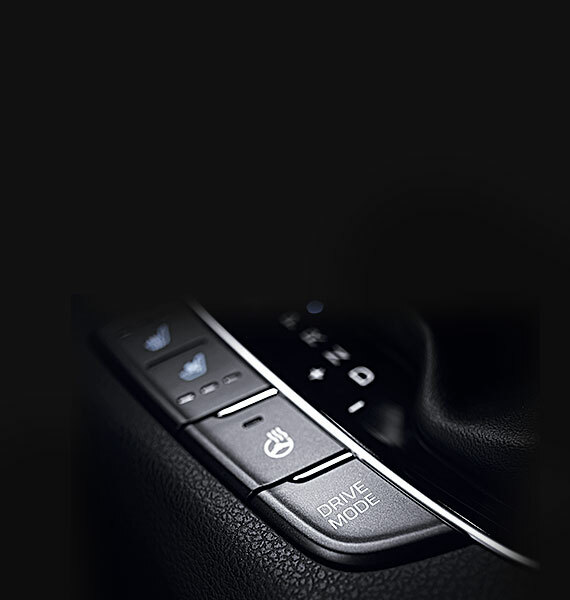 Control buttons let you stay connected without taking your hands off the wheel. 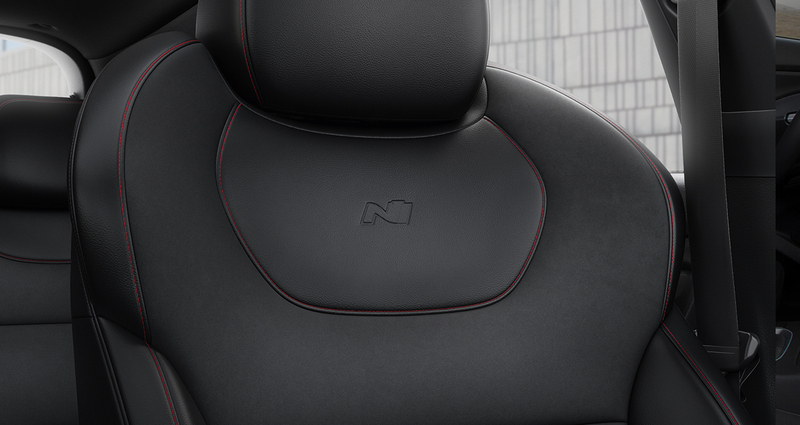 Featuring the N logo and grey contrast stitching and side bolsters, the eye-catching high-performance N Line sport seats keep you in control and comfortable. N Line + models also feature electric power lumbar support. 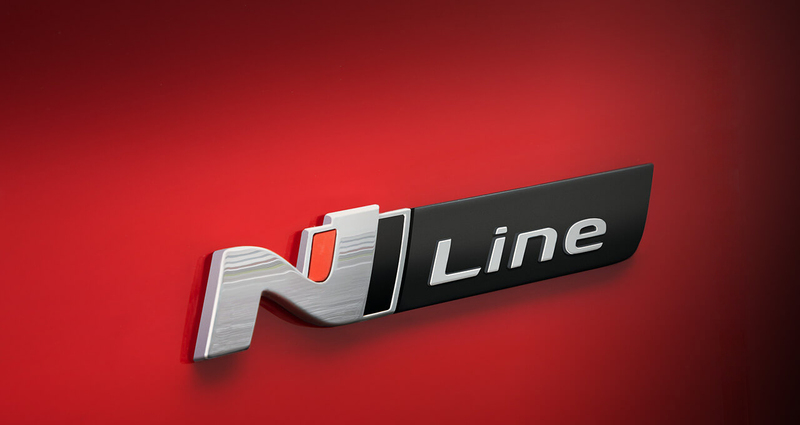 Cloth seats are available on N Line models with a suede and leather combination on N Line +. 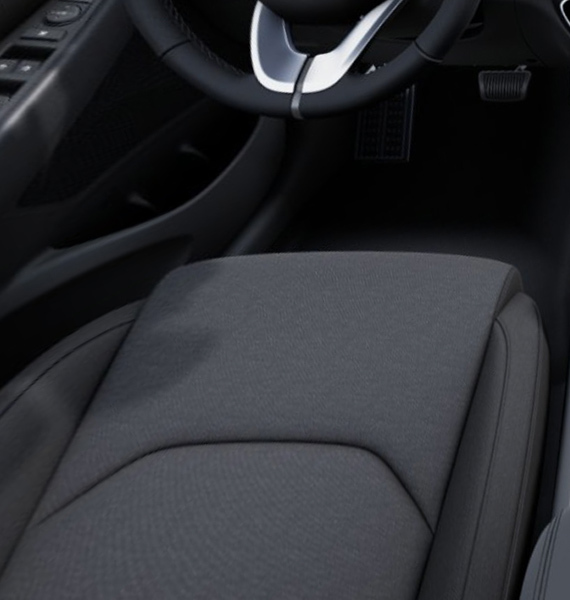 The ball-type gearshift features sporty metal accents and leather inserts for better grip and more motorsport feeling. Perfectly designed for quick shifts. the stress out of every journey. 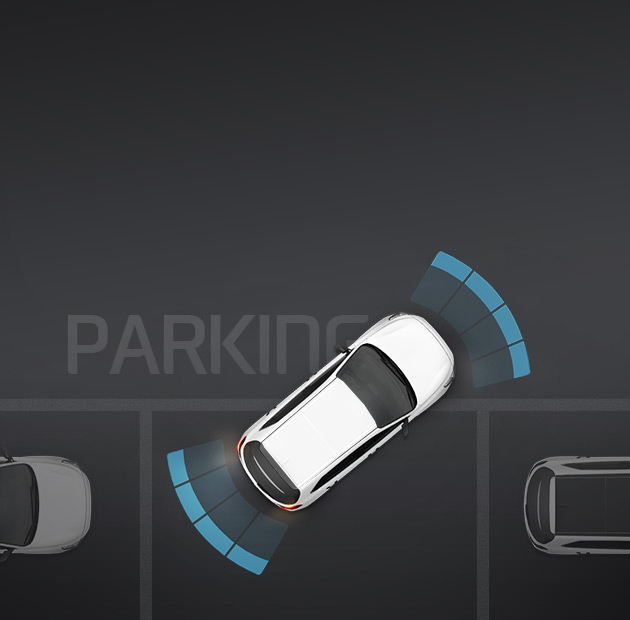 Rear and front parking assist Parking in confined spaces can be a problem. 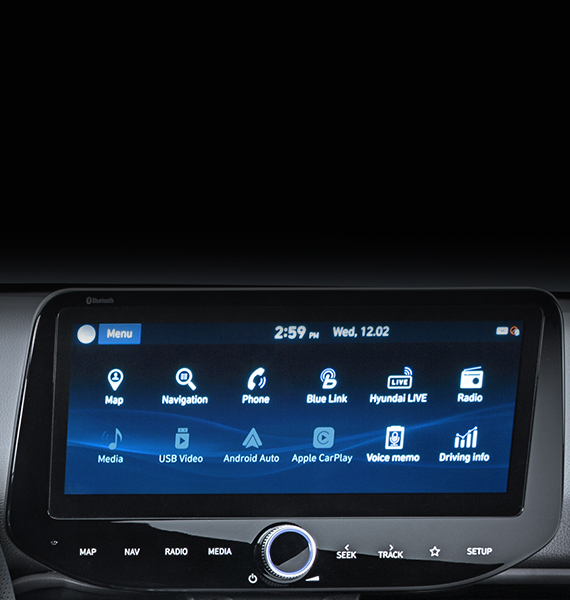 SE models and above feature sensors in the rear bumper and a rear view parking camera with the display mounted in the touchscreen unit. Premium and Premium SE also add front parking sensors. 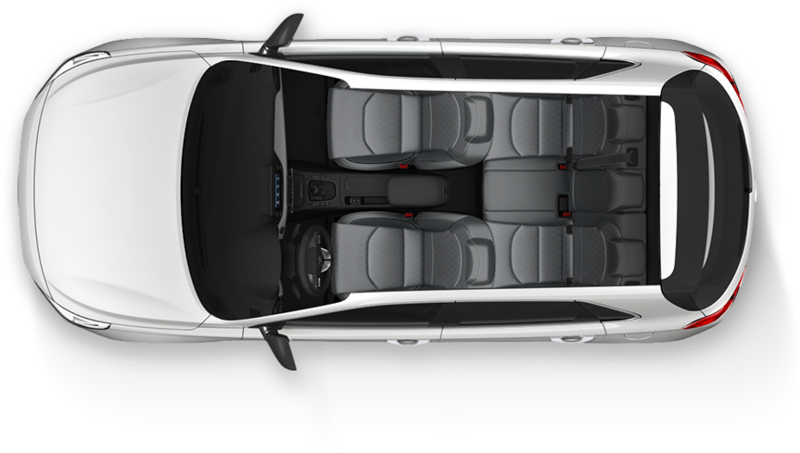 Expansive space Intuitive one-touch folding operation of the rear seats – which replaces the outgoing i30’s three-step system – makes enhancing the cargo space easy. 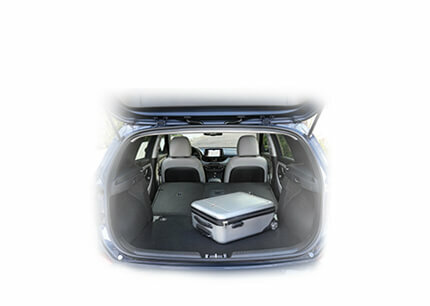 Combined with a two-stage luggage board, you have the choice of a fully flat luggage space for easy loading, or more boot volume. 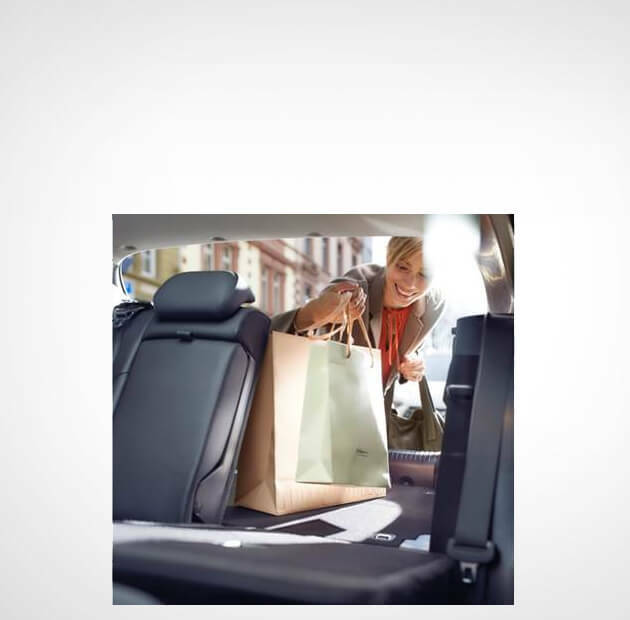 Stop/start convenience Premium and Premium SE models offer a number of ways to make your journeys easier. 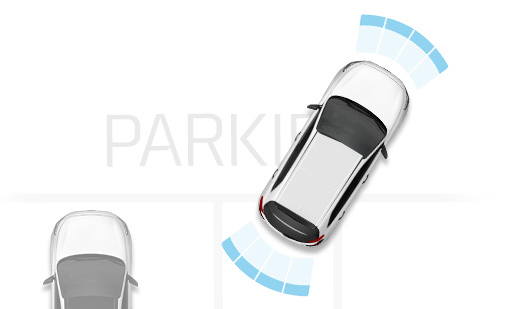 The electric parking brake takes uses much less space than a conventional brake lever. 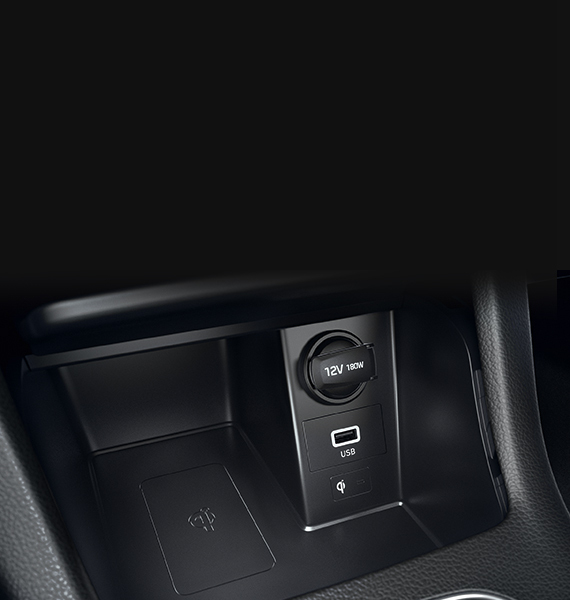 It also simplifies the application and release of the parking brake. 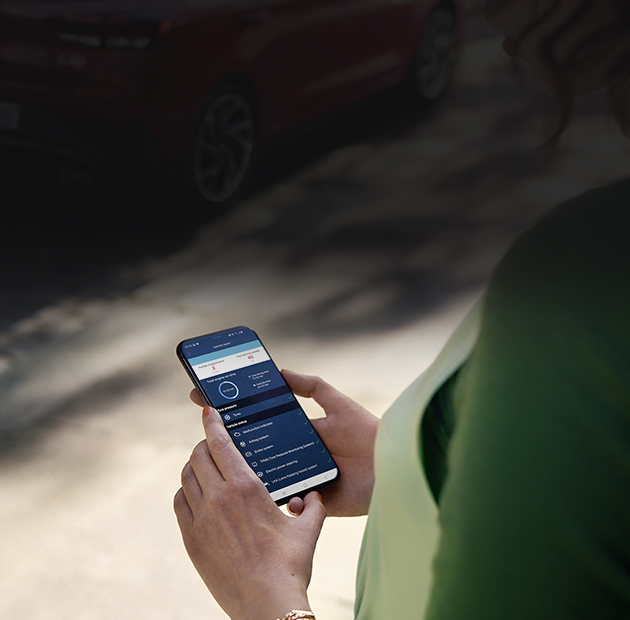 The keyless entry system recognises when the Smart Key is in close proximity to the car, letting you open the boot or doors without having to remove the Smart Key from your pocket. 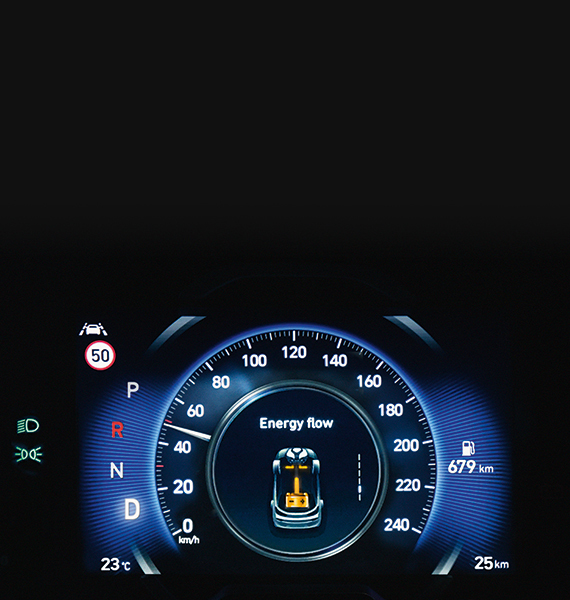 The Engine Start/Stop button starts the vehicle without having to remove the Smart Key from your pocket. 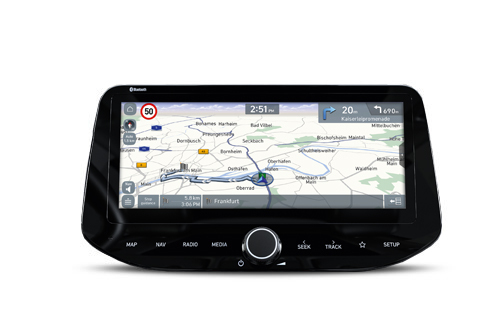 Connectivity and entertainment Fitted on SE Nav upwards, the navigation system uses 3D maps and turn-by-turn info. 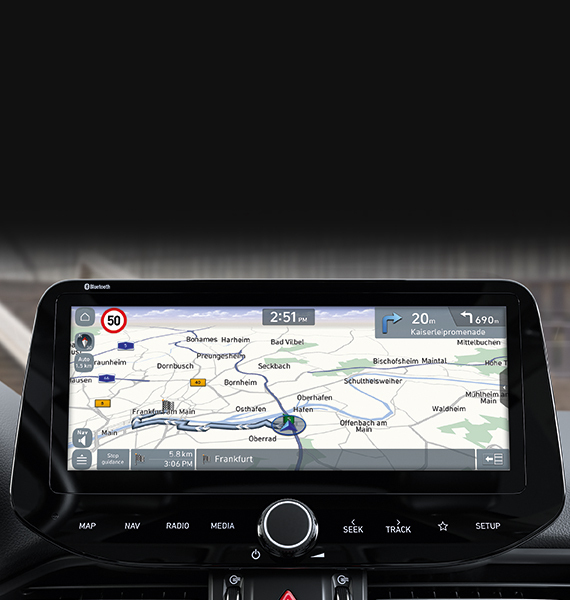 This can also be shown on the 4.2” TFT supervision cluster in the instrument binnacle on Premium and Premium SE, so it’s directly in your sight-line. 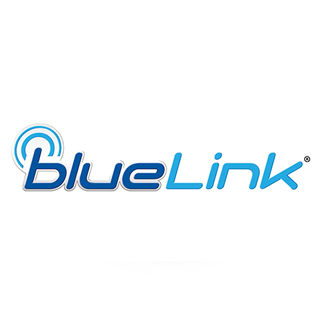 LIVE Services also provide live traffic information, speed camera alerts, weather and point of interest data. of a serious crash, or reduce its consequences. restarting the motor when forward movement ahead is detected. and visually before inducing a corrective steering force. 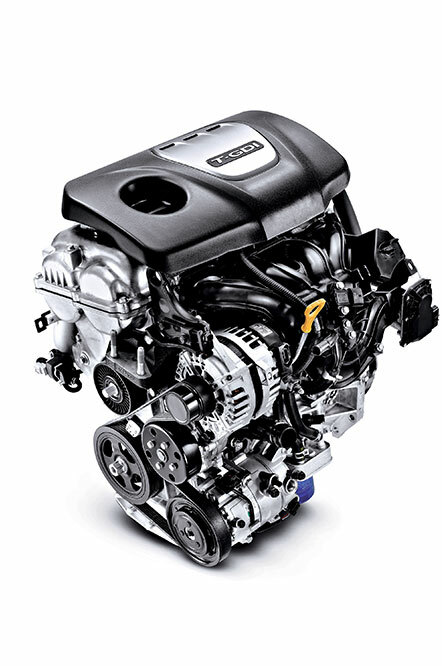 The 1.0 T-GDI is a downsized turbocharged petrol engine with 120 PS and 171.1 Nm at 1,500 ~ 4,000 rpm. It is mated to a 6-speed manual transmission and features Intelligent Stop and Go (ISG) which cuts out the engine when stopped and restarts it when pressing the accelerator, improving efficiency. 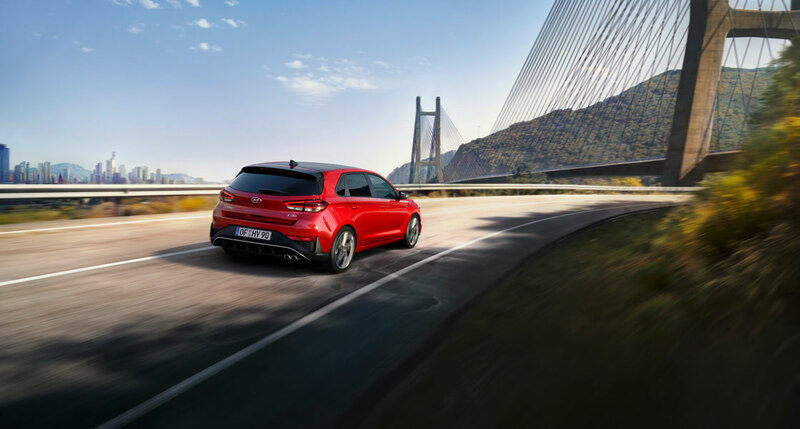 For a dynamic and responsive drive, the newly developed 1.4 T-GDI, delivers a powerful 140 PS and 242 Nm torque at 1,500 rpm. It is available with either a 6-speed manual or 7-speed Dual Clutch Transmission and features Intelligent Stop and Go (ISG) which cuts out the engine when stopped and restarts it when pressing the accelerator, improving efficiency. This turbocharged diesel engine produces 110 PS and is available with a 6-speed manual transmission or 7 speed DCT automatic. The manual transmission benefits from CO2 emissions of only 99 g/km. 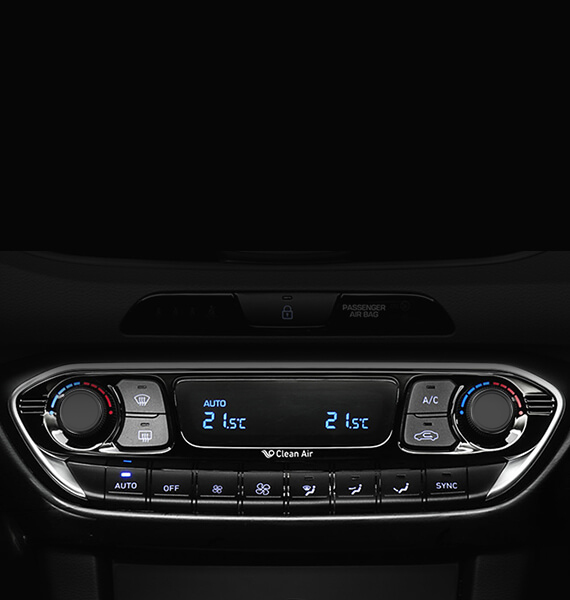 The engine also features Intelligent Stop and Go (ISG) which cuts out the engine when stopped and restarts it when pressing the accelerator, improving efficiency further.